Dollywood’s DreamMore Resort Opens Today! Congratulations Dolly Of making your 30 years Dream come true. I’ll stay at your DreamMore Resort next time I Visit Pigeon Forge, Tennessee. 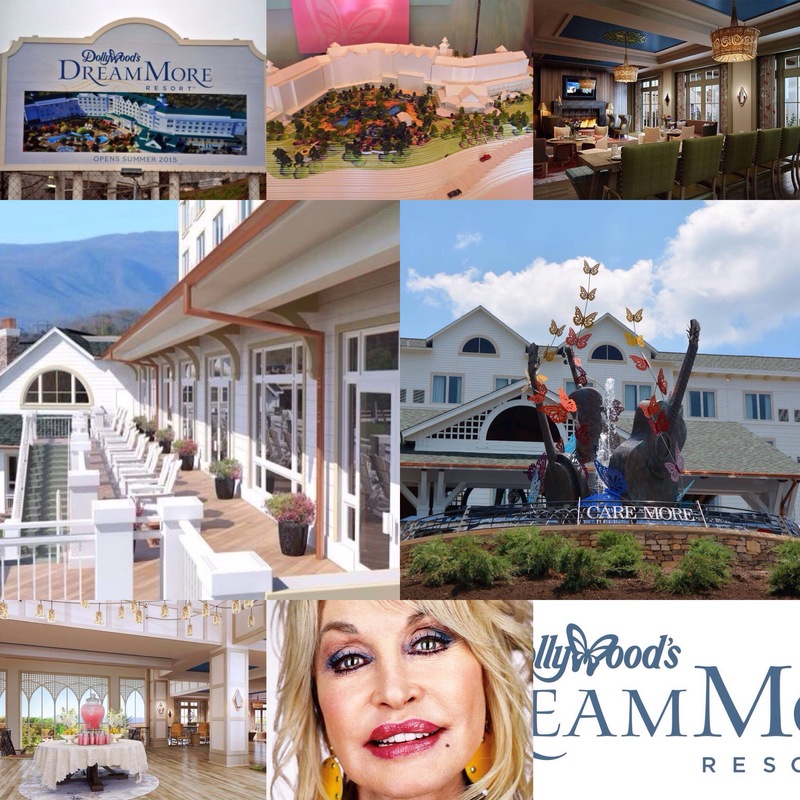 Dollywood’s DreamMore Resort is the first resort created by Dollywood and Dolly Parton. The destination features 300 guest rooms and suites designed with family travelers in mind. Located adjacent to the Dollywood Theme Park and Dollywood’s Splash Country Water Park, the resort is inspired by Dolly Parton’s warm childhood memories of growing up on her family’s front porch in the Smoky Mountains.Guest privileges at Dollywood’s DreamMore Resort include front-of-the-line access at Dollywood with a Time Saver Pass; early Saturday entry to Dollywood; door-to-door transportation from the resort to both Dollywood parks; a special resort entrance to the parks; complimentary delivery of park purchases to resort guest rooms; complimentary Wi-Fi access in the resort; and complimentary resort parking. In addition to the guest privileges, amenities at the property include indoor and outdoor pools, a full-service restaurant, spa and salon, fitness center, conference center, and family activities center, all of which are enhanced by spectacular mountain views. This entry was posted in News, Uncategorized and tagged Diana Falheim, Dolly Parton, Dollyfan.wordpress.com, Dollywood's DreamMore Resort, DreamMore Resort, Opens July 27 2015, Pigeon Forge, Tennessee, Today, USA by dollyfan. Bookmark the permalink.